Oooh this is lovely. It’s one of those moments when you really wish you had a blog people could smell. This is Treacle Moon’s Sweet Lime Sherbet Bath and Shower Gel. Treacle Moon’s new scents are all part of The Candy Jar range and there isn’t one amongst them that I wouldn’t like to try. Along with Sweet Lime Sherbet which smells just like a lime sherbet, there’s Ice Cream Soda, Original Toffee Bon Bon and Marshmallow Hearts. I’m hoping that my local Tesco stocks these as I want them all and at a fantastic £2.99 each I can afford them too! Cream Soda is next on my wish list though! The bottles are a massive 500ml too. Lush take note, delicious lathery goodness that doesn’t cost a ridiculous amount of money but smells out of this world. Fab. Available from your local Tesco or www.tesco.com/beauty. Smile toe the world and the World smiles back, so says the saying! Laughing Buddha was a famous monk in China, he had a legendary smile and he bought happiness and fortune wherever he went. For hundreds of years the ritual of rubbing his belly has been a symbol for good luck and prosperity. And so with Laughing Buddha in mind the the Rituals Laughing Buddha collection was created, to bring optimism and happiness into your life! The range has everything you could possibly need in terms of body and bathing, all of which are based on a Mandarin and Yuzu scent. I rather fancy the Mandarin Luck perfume oil and the Touch of Happiness Body Cream, oh and the Happy Mist! A Bed and body mist, yes please! What I have tried are the Fortune Oil Shower Oil and the Mandarin Bliss 24 Hour Anti Perspirant Stick. The Fortune Oil, is beautifully scented with Sweet Orange and Cedar, it’s warm, fruity and woody, and gorgeous. In the shower the oil transforms into a foam for washing with and it feels very moisturising. It’s a very reasonable £8 for 200ml, which I think is a decent price, it smells and feels very exotic and luxe to use. The other item I’ve been using daily is the Mandarin Bliss Anti-Perspirant Stick. It again smells gorgeous, this time of Mandarin and Yuzu and it’s certainly been put through it’s paces this week with all this heat and combined with the fact that I’ve had a temperature thanks to a cold, but whilst the rest of me has been most definitely perspiring (sorry! ), my arm pits have indeed stayed dry and sweetly scented.. This again is £8 and I must say, it’s really BIG (75ml, my usual sticks are 40ml). From what I’ve tried, this range is gorgeous and I’m keen to try more. Nothing I’ve ever tried from Rituals has been a dud thankfully, it’s a lovely brand! You can buy the entire range here. I really like Dove products. They are affordable, they smell nice and they generally do what they claim to do. Now there are some new products in the range, the Purely Pampering range. There are three scents in the range, all lovely, Shea Butter and Warm Vanilla, Almond Cream and Hibiscus and Coconut Milk & Jasmine Petals. They each come in a Body Wash, Nourishing Lotion and Body Cream. The Body wash lathers nicely, and leaves skin clean and soft feeling and then there are the lotions and the body creams. As you would imagine, the lotion is a lighter formulation, with the cream being a heavier more moisturising formula. Although I find both very moisturising. The nice thing about this is that the scent really lasts on them too. My favourite is the Coconut Milk & Jasmine scent, which is unfortunate as my sample appears to be a prototype or something, there was no information on the back of the bottle and I would estimate it was only about a quarter full. Still, I’m not grumbling really, because the prices are great. Definitely budget friendly. Well I assume so anyway, the Body Washes are £2.40 each. I can only find the Body Washes in stock online at Boots at the moment, and not the lotions and body creams, but I assume they’ll be in stores soon. When I did my Christmas Gifts post yesterday I knew I’d forgotten something. Of course about ten minutes after I posted the article I remembered what they were and I’m not sure how I could have forgotten because these items are both wonderful and one in particular hits my fave products immediately! Lush do Christmas very well, with a wealth of fabulous gift options and single items. Bubble bars, ballistics and lip scrubs and so on and so forth. I’ve already blogged about the wonderful Twilight Shower Gel which I thought was a Halloween product but is listed under their Christmas items on their website… and then there’s the famous Snow Fairy Shower Gel which I’m surprised I’ve not blogged about, it’s the love it or hate it Calpol shower gel. Personally I love it. But this year there’s a new addition. Ponche. Ponche is inspired by Mexican Christmas Punch. It’s fruity and glorious. Lots of orange juice, plum and cinnamon infusions, tequila and you’ve got a perfect shower gel for the morning after that Christmas Party. 100g will set you back £4.25, 250g will cost you £8.50 and 250g will cost you £14.95. The other thing I wanted to show you is my new favourite thing ever. Buche de Noel. A face cleanser. It looks and smells edible but I don’t advise it. Take a pinch, rub it between your hands with a bit of warm water to make a paste, rub it all over your face and wash away. Welcome to the softest face ever. This contains glorious Christmas ingredients to nourish your skin, there’s almonds, satsumas, cranberries, a bit of brandy… it smells well… LUSH. IT’s £5.95 for 100g and a little goes a long way. Only gripes are that it can a) be a bit messy and b) is Christmas only! Why?!!!! This is so so lovely. It cleanses, balances, moisturises and exfoliates… what more can you ask for? Go grab some quick before it’s gone! Absolutely loving these New Dove Creme Mousse Body Washes. The thickest, creamiest body wash I think I’ve ever used. A thick pearlescent cream that produces a huge amount of lather (meaning you need very little product), these are really moisturising and smell absolutely beautiful. There are two variants, Deeply Nourishing and Brightening, I’ve tried both and they are both gorgeous and a very purse friendly £3.71 for 200ml. They both feel very moisturising and because of the thick creamy texture they do feel considerbly more luxurious than the packaging and price would have you believe. Out now from all the usual stockists, Boots, Superdrug and Supermarkets. Ah… I said it very recently and I’m saying it again… I’m falling back in love again with Lush. I’m loving a variety of things at the moment but the Halloween Shower Gel, Twilight is a beaut! An iridescent darkest purple gel, aptly named, as this is the shower gel you want to use before you hit the hay. This is s strange combination of lavender and malt. It doesn’t sound like something that should ever work, but it really does. I have no idea what those malt notes are, but there’s a whole host of lavender which I adore, then tonka for a vanillary hit and a bit of balsamic there too. The weird thing about his is how the scents “perform” for me. 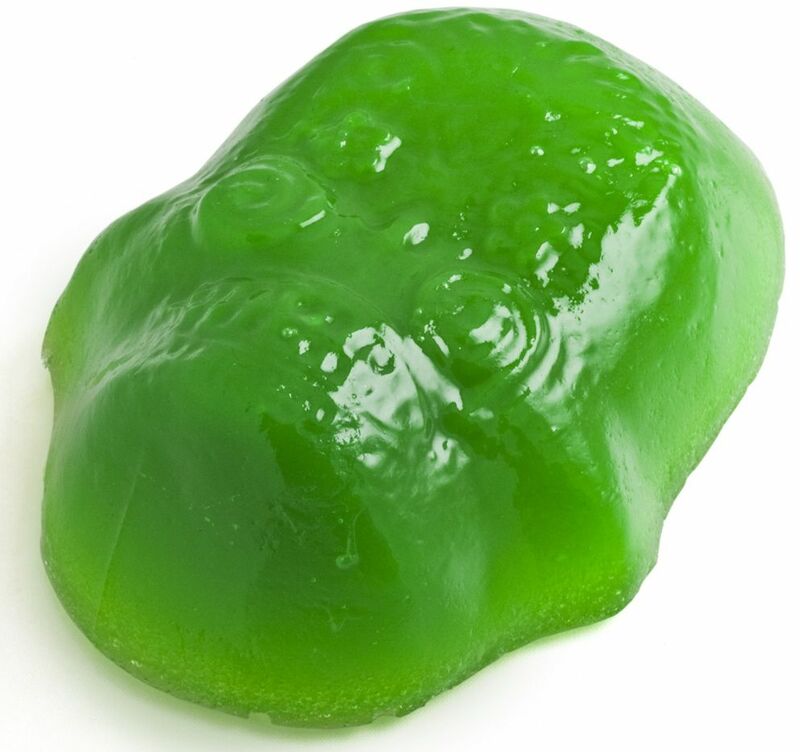 When I pour out the gel, into my hand or onto my sponge, I am hit with a sort of cinder toffee scent, lush and edible, but as soon as the gel hits water/my body, its the lavender and then the lavender is pretty much all I get. Its unusual but beautiful. But I’m a massive lavender fan. The lavender is tempered by the other ingredients for sure but there’s no denying that the main scent is lavender. Beautiful. The small bottle is 100g and £4.25, the other bottles are £8.50 (250ml) and £14.95 for 500ml. A bright green sugar skull jelly for washing your bits with and scented with lime and jelly bean (yes please!). A bright orange ballistic scented with lime and neroli. I’m keen to pick up a Calacas before they disappear! If any of these take your fancy, grab them fast!! Available from Lush of course! You all know that I tend to spend far too much on my health and beauty products, and I’m far too drawn to the high end ranges but now and then I do find something utterly fabulous at a rather wonderful price. I don’t know yet if this is going to be a new series on my blog but this item is just too lovely not too share. It comes from Waitrose, but don’t be put off, this product is an incredible £1.26. 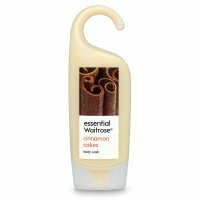 Waitrose Cinnamon Cakes Shower Gel. Sorry for the tiny stock image but I didn’t want to show you my half used bottle. I bought this a few months ago when there was a deal on the Essential Waitrose bath and shower products but it seemed wrong to use this in the warmer weather but now there’s a definite chill in the air this is my new favourite thing. It’s creamy, it lathers like a dream it smells like a slightly woody cinnamon cake and its absolutely scrummy. There’s also bar soap, bath foam and a hand wash. Absolutely delicious and a definite steal at that price. PS: I can also recommend the Sweet Plum, Clementine and Amber varieties. Gorgeous. A seriously short post. I can actually sum up this post in three words. Nom. Nom and Nom. A shower gel made with fresh raspberries, blueberries and redcurrants. It smells awesome, it’s organic, it’s seasonal, it’s gentle, its gorgeous! Shortest review ever? Quite possibly, but really, there’s only so much you can say about a nice shower gel. And this one is lovely. 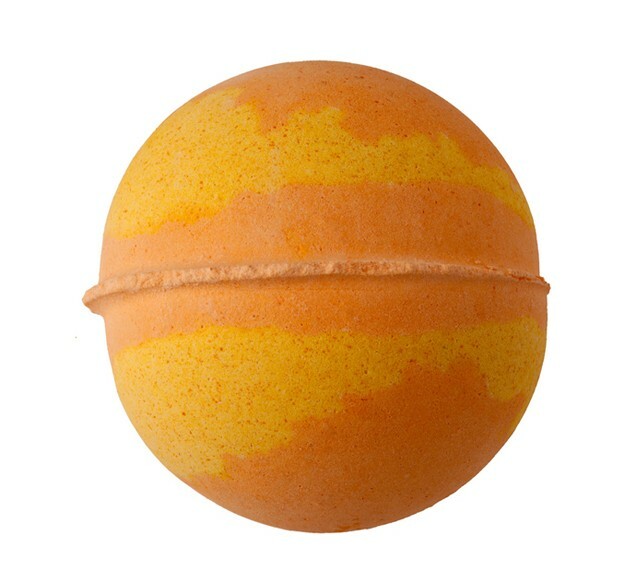 Available from 14th July from www.melvita.co.uk and £9 for 200ml. My love for all things Thierry Mugler Angel related continues with no signs of stopping. I’m after several of the products available so I can layer up the scent. So I want everything…like true Angel Fan, there’s no such thing as too much Angel! However, there is only so much you can say about a shower gel. Lovely bottle, gorgeous gel. The scent is utterly Angel and it lingers on the skin without being overpowering. You have to put your nose to your skin to get the scent but thats perfect for a shower gel I think. Also, you only need a tiny bit. I used far too much the first time and most of it went down the plug hole. A very small amount makes copious amounts of lather which is a good thing since 200ml will set you back £28. This was a press sample but I am just about to order the body lotion to go with it, such is my love for Angel. Then there’s the Perfuming Hair Mist. This is my favourite thing ever! I just spritz it over my hair for a finishing touch on the days where I’m wearing Angel. The scent is beautiful and light but seems to surround me with a halo of gentle scent. It’s not got the strength of the EDP but thats no bad thing, I wouldn’t want it to be that strong, I just want to be able to sniff it on myself when I turn my head. It’s beautiful. This one is £18.50 for 25ml. Just gorgeous finishing touches for when you’re wearing the scent and want it head to toe. As I say I am about to order the body lotion, but can’t quite decide if it’s that or the body oil I really want.